On Tuesday Dell (s dell) announced a reference architecture, open-source software and services offering designed to make deploying an OpenStack-based cloud as easy as following directions. Called the Dell OpenStack Cloud solution, the collection of tools shows that OpenStack will be a driving force in the private-cloud space but also that there will be plenty of competition among vendors trying to sell companies their particular flavor of OpenStack. More and more, the Rackspace-led (s rax) project looks like the Linux of cloud-computing software. For its part, Dell’s reference architecture is based upon its PowerEdge C servers designed for cloud computing, and leverages a Dell-developed software tool called Crowbar. The latter is based on Opscode’s Chef configuration product and manages the deployment and monitoring of the OpenStack Compute and Storage components on the Dell-specified set of resources. And although the reference architecture is designed to serve as a guide, John Igoe, executive director of Dell Cloud Solutions, told me customers can simply order the Dell OpenStack Cloud Solution and Dell will take responsility for racking it, stacking it and deploying it. Dell also is open sourcing Crowbar. Igoe said that means although it’s initially designed to load OpenStack onto the reference architecture, Crowbar lets users build their own “bar clamps” that extend it for specific deployments and applications. On a larger scale, Dell’s new set of offerings further proves that OpenStack will likely be a dominant force in private cloud installations. Igoe said Dell already has closed three or four deals with service providers although the package is just now available. Add that to offerings from Citrix/Cloud.com, Piston Cloud Computing and other products certain to come, and OpenStack appears inescapable as at least a consideration among companies building their own clouds. Even Abiquo, which recently announced major revenue gains and is closing large customer deals, might support the project. Abiquo CEO Pete Malcolm told me recently that Abiquo is an OpenStack member and might consider supporting it at the infrastructure layer. That would mean customers could use OpenStack for cloud orchestration and Abiquo for self-service and other higher-level management tasks. However, as Igoe explained, OpenStack won’t necessarily be one big, happy family once it comes to making sales, even if its contributors are unified in the development process. He said Dell’s OpenStack Cloud Solution will utilize the Cactus code release and, ultimately, Citrix’s (s ctxs) Project Olympus distribution, but that it won’t necessarily be advantageous to Dell to support every OpenStack distribution that comes out. 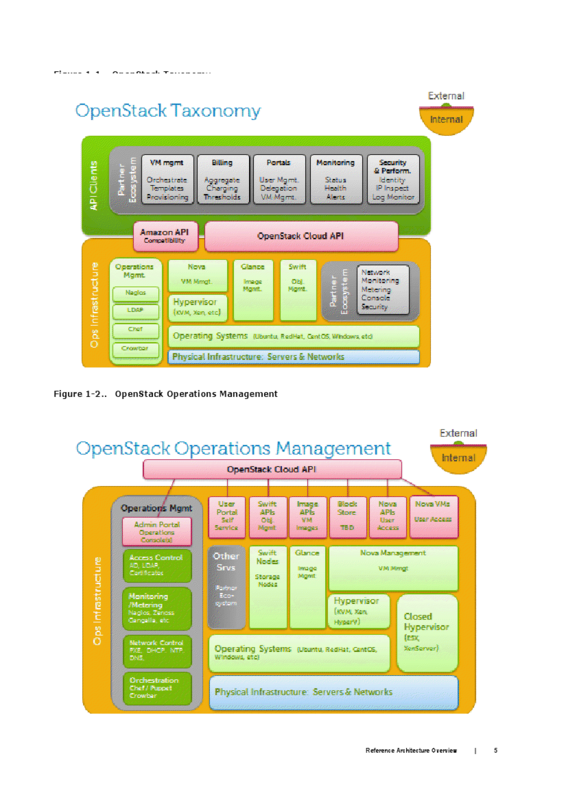 But that’s the beauty of open source software and why OpenStack looks like such a disruptive force. All the competition just means choice for customers, which makes OpenStack look like its own separate marketplace that might let them bypass even looking at proprietary software. Organizations don’t have to buy into Dell’s vision for it, or Citrix’s or anybody else’s. They’re free to choose an OpenStack product that best suits their needs, or just download the code and do what they please with it on whatever hardware they please.